The lawyer for a Tulsa, Okla., reserve deputy who fatally shot a man he meant to strike with a Taser released documents on Saturday that allegedly verify some of his training as a law-enforcement officer, according to CNN. 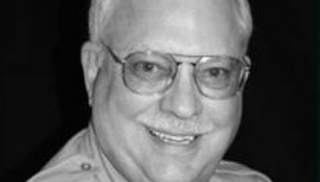 The documents show that Robert Bates, 73, charged with second-degree manslaughter in the death of Eric Harris during an April 2 weapons sting, “had one Taser training class over a six-and-a-half-year period, took three firearms training classes and qualified 10 times, from 2009 to 2014, to use a handgun. His evaluations say he got along with other officers and related well with the public,” CNN says. The release comes just days after an uproar over claims by a Tulsa World news report that the Oklahoma Sheriff’s Office falsified Bates’ training records and that officers who refused to participate in the scheme were reportedly transferred to other positions. While CNN could not independently confirm that the documents were authentic, Wood told the news site that he obtained them from the suspect, who asked the sheriff’s office to provide his training records. The sheriff’s office has turned down CNN’s requests for the training documents, saying that they are part of the investigation, notes the report. Still, the lawyer representing the family has argued that Bates wasn’t qualified to be on the force in the first place but received preferential treatment because he’d made donations to the agency and was a friend of the sheriff, report says. The sheriff’s office announced Thursday that it would be conducting an investigation of its deputy-reserve program. “As with any critical incident, we are doing an internal review of our program and policy to determine if any changes need to take place,” Tulsa County Sheriff’s Maj. Shannon Clark said earlier this week.